Offering you a complete choice of products which include silicotungstic acid ar. Silicotungstic Acid AR is the most commonly encountered heteropoly acid. 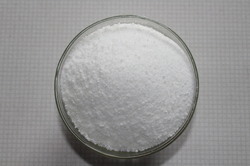 It is widely used in heterogeneous catalysts, notably in the showa denko process for the manufacturing of acetic acid. Delivery Time: 10 DAYS FROM CONFIRM LC/ PO. Packaging Details: IN HDPE DRUMS with 25 -50 kg pack OR IN MS VARNISH COATED DRUM 200 KG PACK. Looking for Silicotungstic Acid ?